We have all been to that meeting where you aren’t sure exactly why you are there. We have all struggled to keep our eyes open throughout a meeting which seems to go on forever. Your time is valuable, and if you want your company to succeed so is everyone else’s time too. We have put together some little tips to help you make sure that your meetings actually have a positive contribution. First, meet face-to-face (if you can). It isn’t always possible as companies can often have people all across the globe, but when you have the opportunity, do try and meet in person. There really isn’t a substitute for facetime. It is far too easy to let your mind wander when you are in the room… let alone when you aren’t there in person. You would be surprised how important body language is when making decisions and having a productive meeting. Unplug. Not only are tech tools often distracting but a number of studies have shown that students who use their laptops rather than making old fashioned handwritten notes have a significantly harder time remembering what was said. Have a plan. Making sure that you actually have a reason to meet is important. Get that reason written down, shared with all attendees. There is no point getting off track, you are having the meeting for a reason, so why not actually focus on that reason instead of meandering your way through an entire morning and achieving nothing. The guest list. Don’t invite people for the sake of it; try to forget about office politics and only invite the people that really need to be there. We have all been to meetings where we aren’t sure exactly why we are there, it wastes everyone’s time. Ban or at least limit PowerPoint. PP can be a great tool to AID your meeting, but it shouldn’t dictate your meeting. Nothing is more boring that just watching someone read off sheet clicking through slides with far too much writing in them. Timing. Get everyone there on time and follow the agenda. Schedule meetings for specific amounts of time as well, if the meeting is going to take 20 minutes, then have a 20-minute meeting. You don’t have to have meetings in multiples of 30 minutes. Refreshments. Keep everyone well watered, and if it is first thing in the morning, well coffee’d. An alert group will take in more, and make the meeting pass more quickly. And last but most certainly not least! The environment. Where you have the meeting can make a huge difference to the productivity of that meeting. Natural light, interesting décor and comfortable furniture are just some of the factors that can make or break a meeting. 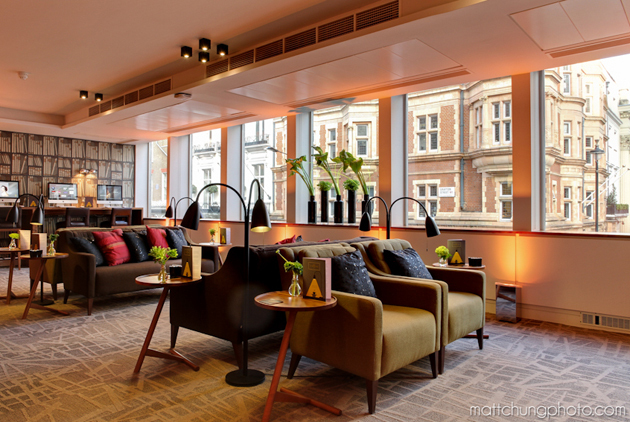 Take a look at one of our favourite rooms for brainstorming meetings here. From some of the most famous brands in the world, to less-known up and coming companies, Zipcube takes a look into their uber cool office spaces. Airbnb, the online marketplace for unique accommodation, recreates some of their top listings inside the office! The open office style is used to create a relaxed vibe, and this is also the trigger of lots of daily creative brainstorming sessions between co-workers. Employees are provided with super-healthy organic only lunches prepared by the office’s own specialist chef. The premises also boasts a rooftop terrace, which Co-Founder Nate says has held some ‘pretty epic’ events. This arty company’s HQ promotes a ‘crafty culture’, with an area specially dedicated to ‘coffee and fresh prints’, which lets employees get creative whilst grabbing their latte. From the real life giant pin board created by workers, to a fully functioning bar, interior ideas from employees are more than welcome by the Pinterest bosses. BarkBox moves away from the traditional receptionist greeting at their HQ. Instead, technology is the replacement; guests check in via a built in ipad. The company continues this theme, with more ipads in the kitchen so staff can even re-order coffee if they’re running low! The office is also kitted out with anything a dog could need, so now, everyday is bring your pet to work day for BarkBox employees. Quirky’s office is full of fun, and showcases some of worlds coolest inventions. Each item in the office, from stationary and gadgets, to furniture and kitchenware is made by Quirky applicants who are talented inventors hoping for their work to be manufactured by the enterprise. This video’s definitely worth checking out, especially if your not familiar with Quirky’s work. Being the worlds largest video search engine, and one of the most recognisable brands in the world, its no surprise YouTube managed to pull off one of the novel and fun headquarters you’ve ever seen. You’ll see a rock climbing wall, mini golf, and, yes a giant slide! This Brooklyn-based company definitely practices what they preach. Being an online market places for buyers and sellers of vintage and handmade ‘stuff’, their office is full of items off their own website. New staff are even given £100 to spend on the website, pretty cool right? 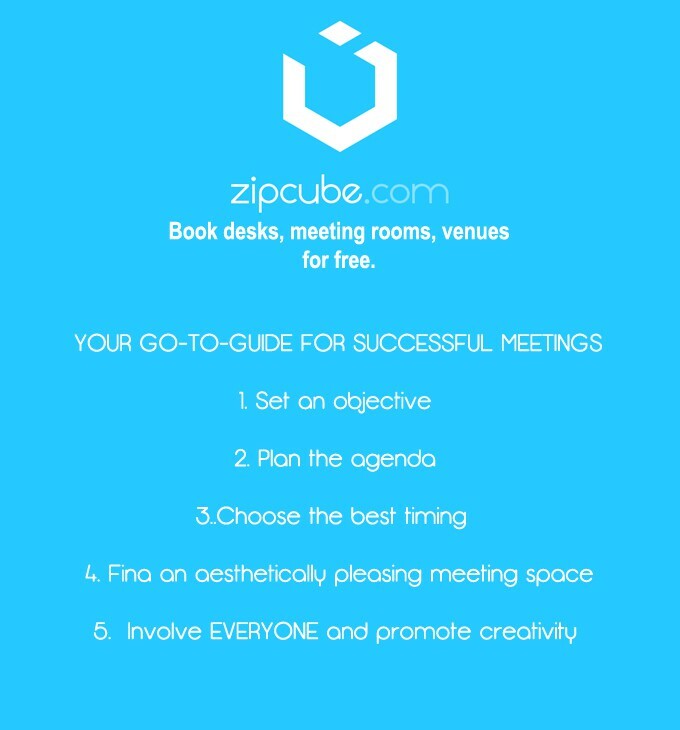 Why not take a look at www.zipcube.com to see if you can find the perfect workspace or meeting room to make your day as productive as possible. We also list some spectacular event spaces where you to can hold some ‘epic events’. Pitchswag™ is an online incubator bringing together entrepreneurs, investors, experts and co-founders. Annually they organise Passport to Pitchswag – an event where all those people can meet offline to network, pitch ideas, fundraise and invest. Zipcube have been shortlisted for the Passport 2 Pitchswag Pitch competition and we hope you agree that we would be deserving finalists. In the world where it is hard to ignore the co-working revolution, where 87% of white collar employees of multinational companies conduct at least part of their work virtually people need a good alternative to the traditional office and conference room onsite. People need Zipcube! We develop, aggregate and operate an online public market and booking service for meeting and event spaces. Most websites are enquiries sites, you have to wait several hours, sometimes days to confirm a booking. We are a game changer in the room hiring industry. Save time. Book, not just enquire. Save money. Greater choice offers cheaper alternatives. Get all you need. Gain access to the broadest selection of professional spaces. Amazing places for private offices, meeting rooms, event spaces and even photo shoots. Get the best price. Only pay for the space you use. No contracts or hidden fees. Zipcube assures full price transparency. Book hassle free. Book confidently by the hour or by the day. You are in control of where, when, and how you want to work or meet. We are one of the most innovative startups in the silicon roundabout. Our unique international team is really enthusiastic about what we do and this is why we do it so well! In our first year Zipcube has already won best start up at Thinking Digital and come second from across Europe at the Pirate pitch. We are backed by UKTI, and Ignite100. Number of our clients is increasing. Searching and booking time is getting shorter and shorter. We’re growing quickly, we want to grow even quicker. The P2P Pitch Competition prize would help us to expand Zipcube revolution UK-wise. BMB Magazine compiled the list of the freshest co-working spaces in London. We’re happy to announce that you can book desks and meeting rooms in some of them at zipcube.com. Based in the heart of London’s own silicon valley Central Working Shoreditch provides a perfect infrastructure for growing business. The newest Central Working is expected to help over 22,000 digital businesses during the next 5 years which will potentially generate 350 million pounds in combined revenue. Take a part in co-working revolution and get a desk at Central Working! A new way of doing business. The Clubhouse is a club and a lounge that provides luxurious co-working space and various meeting rooms. They’re just perfectly based in Mayfair a few minutes walk from Piccadilly Circus, Leicester Square, and Green Park underground stations. Are you tempted to grow new professional relationships at The Clubhouse? They are placed in a walking distance form Holborn and Farrington stations at a charming courtyard with a wonderful bar/cafe. 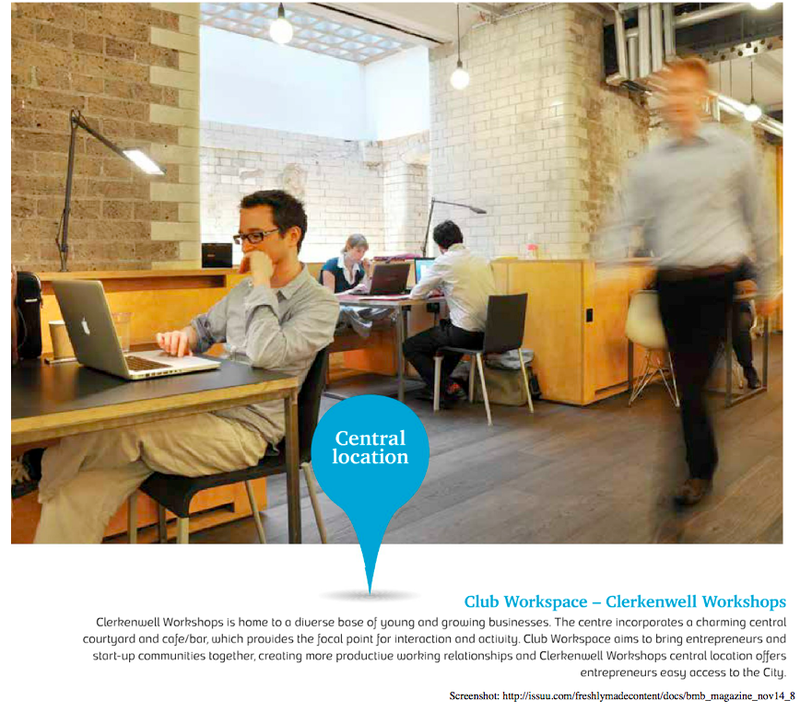 This amazing space already attracted 70 innovative small businesses that made Clerkenwell Workshops their home. 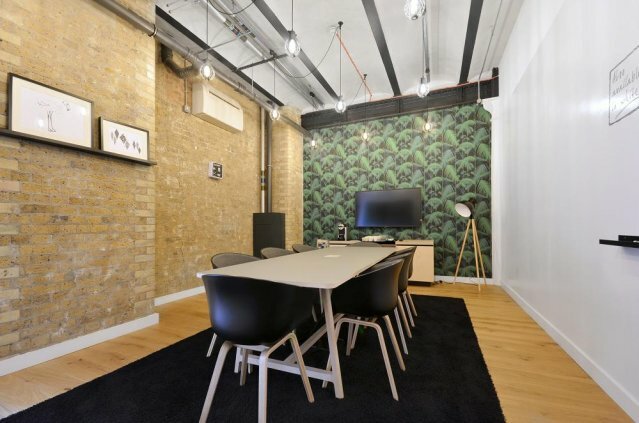 Would you like to feel the amazing atmosphere of this place and hire a meeting room at Clerkenwell Workshops? An old warehouse turned into creative and collaborative environment. 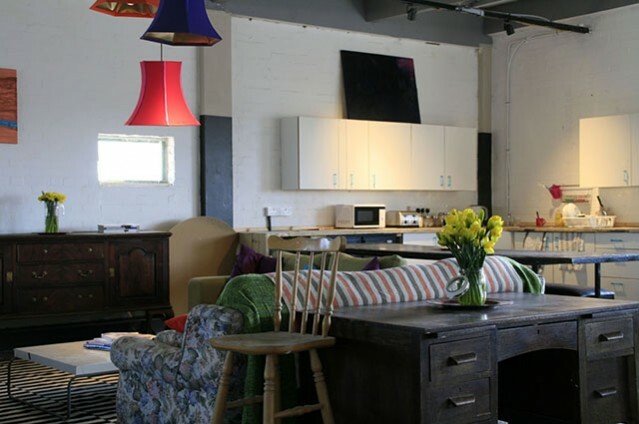 There are established businesses as well as startups and freelancers working at 90 Main Yard. What do they have in common? They are all about innovation. There is a link for anyone who fancies working in extremely innovative environment. When was the last time you looked forward to a meeting? The answer is probably never. Meetings have the potential to be both fun and productive, but the majority of them just arenʼt! Time and time again managers fail to hold a successful meeting that gets the best of their team, so we have created a quick go-to guide on how to give your meetings a makeover. 1. Set an objective – How can you measure the success of a meeting if you donʼt have an objective? Set a realistic overall objective of the meeting and inform the participants of this. Although the overall objective changes each meeting, a staple aim of every meeting should be to leave participants feeling motivated and educated. If both your overall objective, and the staple aim have been fulfilled, then itʼs safe to say the meeting was a success. 2. Plan the agenda – Ask yourself, what topics must be covered in this meeting in order to achieve itʼs objective? Again, inform all participants beforehand of these topics, so they know what to expect and to prepare for. By creating this agenda, you should be able to set the length of time required for the meeting. 3. Choose the best timing – If the meeting is going to require a lot of time, make sure you schedule short breaks to keep participants from becoming disengaged. Try to avoid meeting very early or very late in the day. You may find participants are less productive at the start of the day, and less motivated very late in the day. Therefore, where possible, schedule your meeting somewhere in the middle. 4. Find an aesthetically pleasing meeting space – Research has shown time and time again that the interior of the workplace plays a part in the productivity of employees. A confined and dull space WILL NOT motivate employees. Find a meeting space with plenty of natural light, a bright interior and comfortable seating. 5. Involve everyone and promote creativity – The quietest people can have the best ideas! Be sure to ask for the contribution of ideas, solutions and feedback from EVERYONE. Let them know that their ideas are valued. Donʼt forget to encourage idea sharing amongst the team; a simple idea from one person can be snowballed by others into something great! So, what do you think? Can we bring the life back to meetings? Zipcupe is the online marketplace where you can search, filter and book a meeting room in under a minute. No more waiting for a response to your enquiries, no more uncertainty as to the amenities available, or the layout of the rooms. We have over 500 rooms available throughout London and are expanding every day, so are sure to have something to suit your needs and budget. A pro’s tips on how to work when and where you want. An article on Forbes revealing the challenges for flexible workers. There is a solution to the meeting room, conference room, and desk space problems that mobile workers find. Using offers affordable spaces to be productive during your workday away from the office. Turn the negatives into positives with Zipcube.